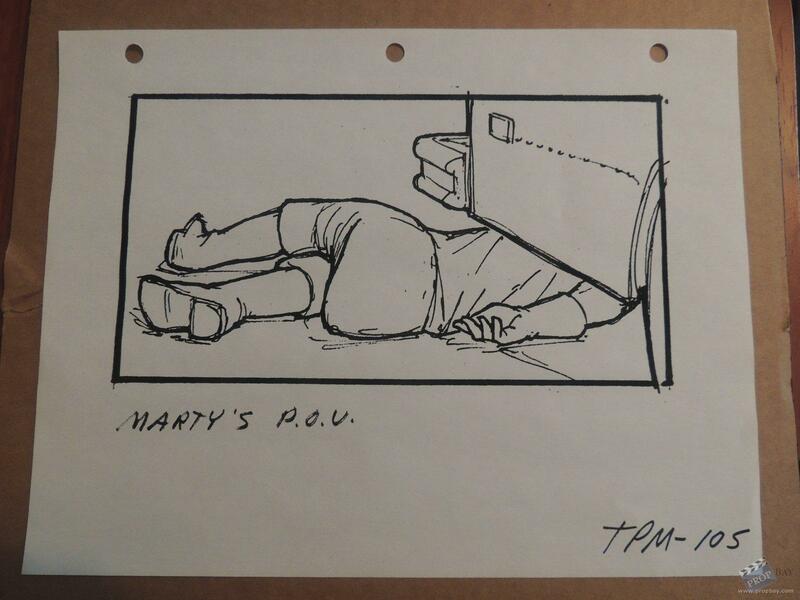 This is a story board from the first Back To The Future Film. It depicts Doc Brown (Christopher Lloyd) Laying shot behind the van that transported the time machine to the mall as seen from Marty's (Michael J. Fox) point of view. It Describes the camera shot to be used in the scene. Added: 02-14-2013 - Viewed: 1279 times.